THR gains access to more than 70 hours of previously unreleased interviews with the cast, creator and those involved as the former NBC comedy celebrates 20 years since its series finale. 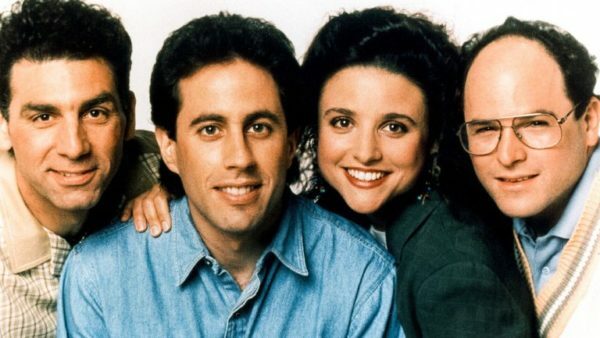 Seinfeld, a show about nothing, remains today as something that people can return to time and time again. Some come for the humor and writing, simple observations about the funny in everyday life. Others love the main characters, selfish and self-involved though they may be. Whatever the reason, audiences continue to discover and enjoy the masterful sitcom, one unlike any before it and the comedic Godfather of many since. From one simple conversation that started between two comedic geniuses at the Catch a Rising Star comedy club in New York and ended inside Lee’s Market, a Korean deli across the street, Jerry Seinfeld and Larry David formulated the gold standard for television humor.